The “Renckhoff” judgment follows a prolific series of decisions, mainly on the right to communication to the public. However, it also provides us with new insights on six different levels: the concept of originality, the analysis of economic rights, the concept of a ‘new public’, the limits to the CJEU’s hyperlinking case law, the prototype of the “diligent copyright holder” and the scope of application of the teaching exception. 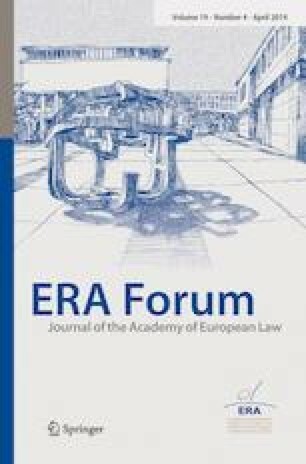 Even if the decision itself is not favorable for copyright users, its reasoning contributes to the development of a new approach to lawful use in European Copyright law. This article on its biggest part has been published at Kluwer Copyright Blog as a comment on the Renckhoff Judgment of the CJEU. See: T. Synodinou [16, 17].